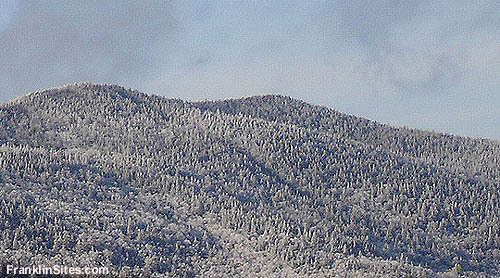 Today's Sugarbush North (also known as Mt. Ellen) opened in 1963 as a separate ski area named Glen Ellen. 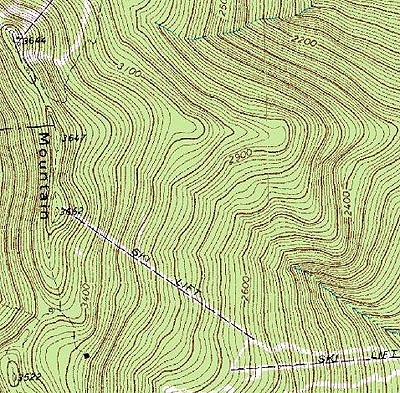 Prior to being purchased by Sugarbush (also known as Sugarbush South or Lincoln Peak) in 1977, there was some talk of connecting Glen Ellen to Mad River Glen. 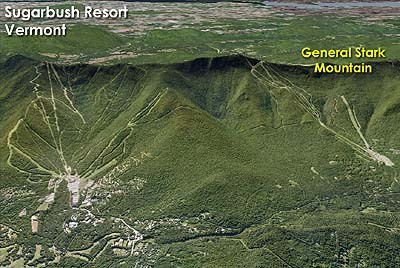 In the late 1960s, a lift line was cleared from the top of the Inverness complex to the summit of General Stark Mountain. In addition to the lift line, two additional trails were apparently planned but never cut. There is no record of a lift ever being ordered. 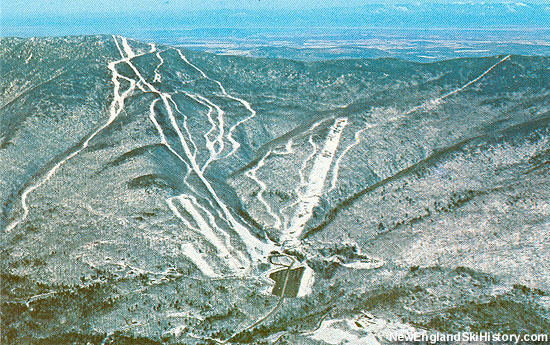 The complex would have spanned nearly 1,100 vertical feet, topping out higher than the summit of the Mad River ski area (located on a subpeak to the north). 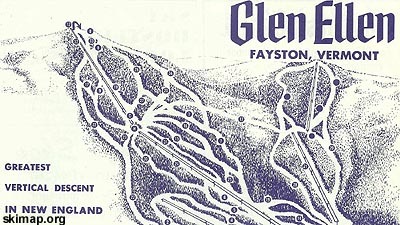 The lift line was displayed on some subsequent Glen Ellen trail maps, however it would eventually grow in and cease to appear on Sugarbush trail maps. Despite decades of growth, the lift line is still visible from various locations around the Sugarbush area. There are no known plans for the ski area to attempt to open the complex.